was born in Baden, Switzerland, in 1979. Since I was a boy, I have had a passion for music, the radio and voice artists. I would spend hours recording my own cassettes from an old radio and then, between one song and another, record my own performances. When I was 15 I decided to make this dream come true and I started visiting local radios in my region, Campania, to meet and perform in front of the artistic directors. It was one of these radios that made my dream come true… New Radio Network, the first to give me a chance. However, my passion for the radio and its content was not enough, I needed to study. Therefore, I started with diction and radio broadcasting training with prof. Roberto Barone. This marked the turning point… From then on, I started working with major local radios, such as Radio Club91, Radio CRC Targato Italia, Radio Punto Nuovo and Radio Punto Zero. And as my collaborations grew in importance, so did my studies in diction and dubbing, leading me on to the Voice Art Dubbing School, where I was taught by artists like Nino D’Agata, Dante Biagioni and Antonio Palumbo, dubbing artists and directors for the Italian and international cinema industry. Over the years, in addition to radio broadcasting, I started producing commercials, business documentaries, website corporate videos, answering phones and any other service requiring a professional voice talent. This was made possible by the fact that I could record directly from my home studio. 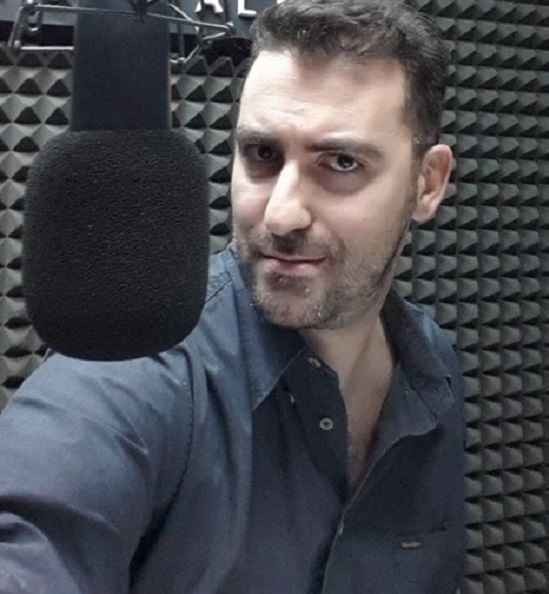 You can now find me on the major voice-over portals, like Bodalgo.com, Xvoice.it, Voice.com and Voci.fm.